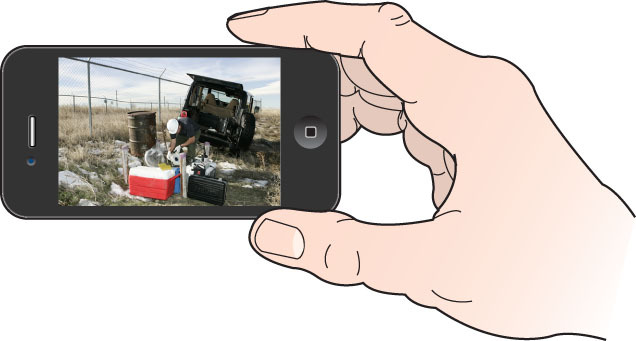 Responsible for monitoring turbidity on your construction site? 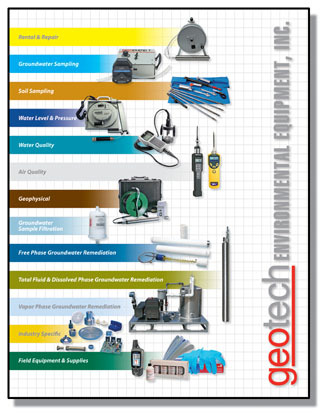 Geotech Environmental Equipment has the equipment you need to remain in compliance and avoid those nasty regulatory delays and fines. New EPA Construction and Development point source regulations are expected by January 31, 2012. 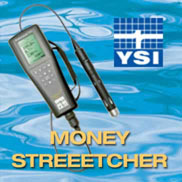 This rule includes a numeric turbidity limit for certain larger construction sites. At this point, the numeric limitation 280 NTU* is still in effect, however, it is believed that the EPA will revise the limit in the future. 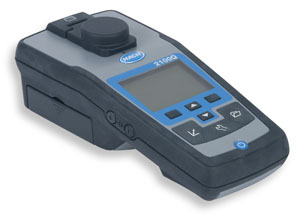 The new 2100Q makes it easier to monitor water cleanliness and clarity, to test product quality and consistency, and to meet turbidity regulations where grab samples are used. 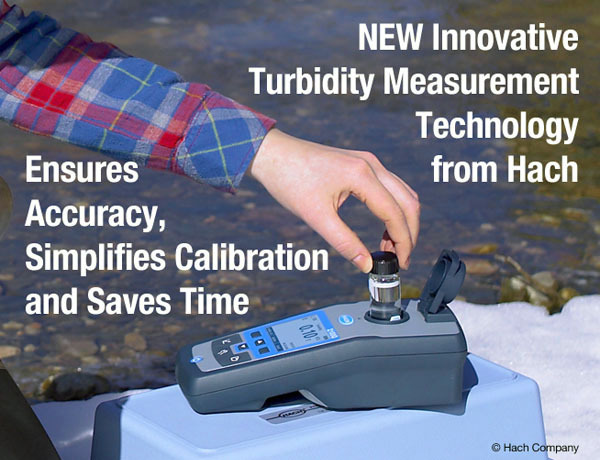 This new turbidity measuring instrument from Hach delivers superior accuracy and ease-of-use. 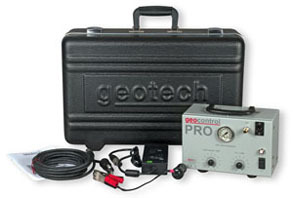 The Hach 2100Q Portable Turbidimeter offers advanced features such as on-screen assisted calibration and verification, simplified data transfer, and measurement innovation for rapidly settling samples. Single-standard RapidCal™ calibration offers the simplest solution for low-level measurements. Exclusive algorithm in the Rapidly Settling Turbidity™ mode provides accurate, repeatable measurements for rapidly settling, difficult-to-measure samples while eliminating the need for redundant measurements and estimating. Optional USB module enables simple data transfer. All data is easily downloaded to any computer providing superior data integrity and availability. The 2100Q can be also used to verify process turbidity measurements from the Hach 1720E process turbidimeter or to trouble-shoot processes where turbidity is a key parameter. 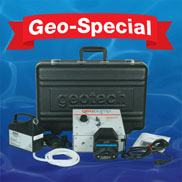 For more information on the 2100Q Portable Turbidimeter, or call 1-800-833-7958. 12V DC Modular Battery & Charger added at no extra cost. Bryan DuFosse (City of Boise – Public Works Dept.) took these pictures of Paul Faulkner using a Geopump 1 peristaltic pump while Intimidator the Longhorn bull watched closely. "We had just finished sampling and filtering at one of several groundwater monitoring wells when one of the local “residents” got curious about what we were doing and came over to have a look. Fortunately the bull was docile and did not seem to mind our intrusion on his pasture." interchangeable separation tubes and PID. Make plans now to attend this annual environmental education forum in Austin. The Environmental Trade Fair & Conference is Texas' premier environmental educational forum, considered by many to be one of the best in the country. 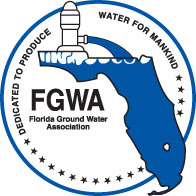 Join us at the 2011 FGWA Annual Convention & Trade Show! This convention is a fun, educational, motivational and a social success! This year you will be eligible to receive 13 continuing education credits. What a deal! Now entering its 43rd year, WasteExpo is North America's largest solid waste and recycling tradeshow serving both the private and public sectors. Whether you come from the public sector, a small, medium or large private sector waste management company or a manufacturer or supplier, WasteExpo is your not-to-miss event! This remediation technology summit is dedicated to vigorous exchange by environmental professionals. RemTEC is the place where you can come to hear the leading and most important sources of information on technology, application, and policy affecting contaminated site restoration. Reap the benefits of one-on-one personal contact with KEY industry leaders and professionals and learn the latest on emerging technologies! A high-energy event designed for our clients, featuring exhibits, equipment demos and hands-on training on a wide variety of state-of-the-industry environmental instruments. Learn about the latest technologies from professionals who have successfully employed them in real projects and from the designers and developers of the latest in field equipment and instrumentation. Let experts answer your questions, and take advantage of this opportunity to try out the equipment of your choice under real-world field conditions! Formerly the In Situ and On-Site Bioremediation Symposium, the Bioremediation and Sustainable Environmental Technologies Symposium adds more bioremediation and environmental research topics to it's program. 10 courses and nearly 600 platform talks and poster presentations make this an extensive symposium. Additional technical information will be provided by exhibits from an estimated 60 companies and government agencies engaged in remediation related activities. 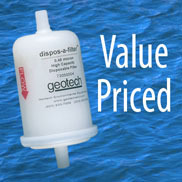 Prices and promotions mentioned in this newsletter are valid through May 31, 2011.